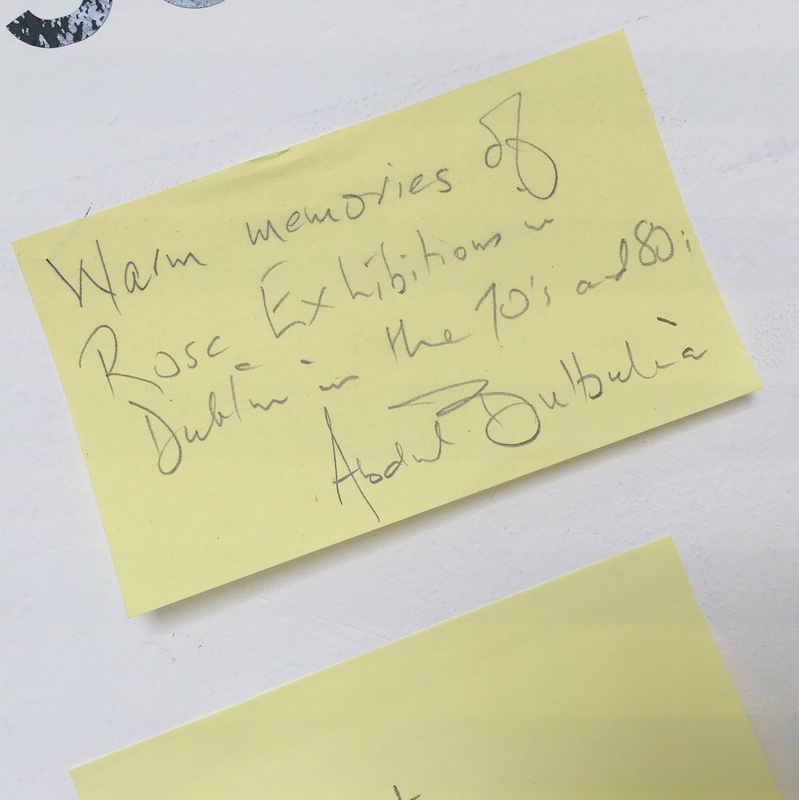 This year IMMA and NIVAL are collaborating on ‘ROSC 50‘; a project that seeks to examine the pivotal and sometimes controversial Rosc exhibitions held in Ireland from 1967 to 1984. 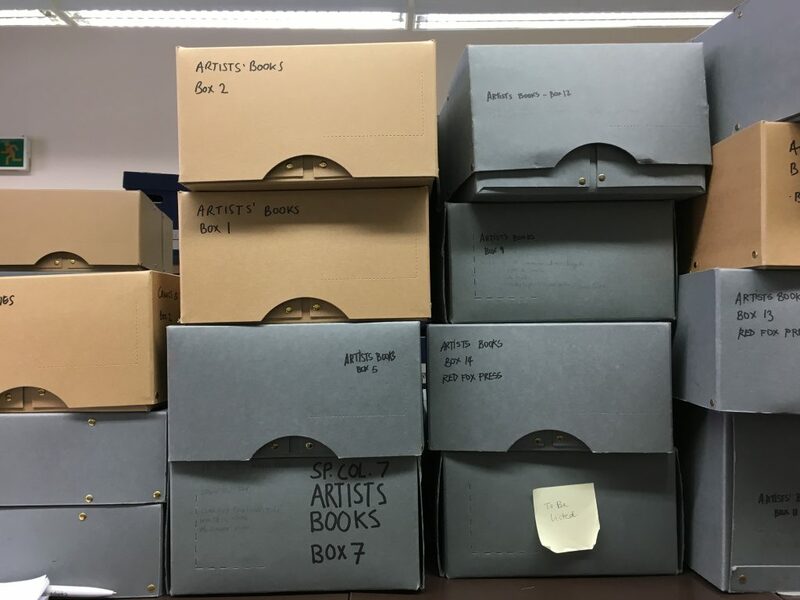 We asked Meghan Elward Duffy, who joined IMMA earlier this year, to take a first time trip to NIVAL to explore the archive and write this introduction to the National Irish Visual Arts Library. Within the buzzing and somewhat quirky campus of the National College of Art and Design (NCAD) on Thomas Street, Dublin lies a small yet significant library dedicated to preserving the record and memory of contemporary art in Ireland and that of Irish artists abroad. This is the National Irish Visual Arts Library (NIVAL) and is an important resource for historians, artists, designers, and anyone wishing to learn about the history of contemporary art and design in Ireland – be they hobbyists or professionals. Though I had visited the campus of NCAD many times before, this marked my first visit to NIVAL. And, aside from knowing exactly where I was going, I would have skipped over it completely had I not been looking for it. 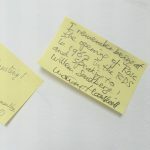 While located within the campus of NCAD, the library is open to anyone who seeks information relating to contemporary art and design in Ireland. No student IDs or special library cards are required to visit or view the materials and the atmosphere of both NIVAL and NCAD is open, friendly and incredibly accessible. NIVAL collects, stores and makes accessible for research an unparalleled collection of documentation about Irish art in all media. NIVAL’s collection policy includes Irish visual art from the whole island as well as Irish art abroad and non-Irish artists working in Ireland. Information is acquired on artists, designers, galleries, arts organisations and institutions, critics and other related subjects. NIVAL was unusual in that it was born from necessity and desire. I was surprised to learn that NIVAL wasn’t a natural or intrinsic part of the NCAD campus, but a passion turned requirement from an NCAD librarian who saw an opportunity and a calling. NIVAL’s origins are humble and small. 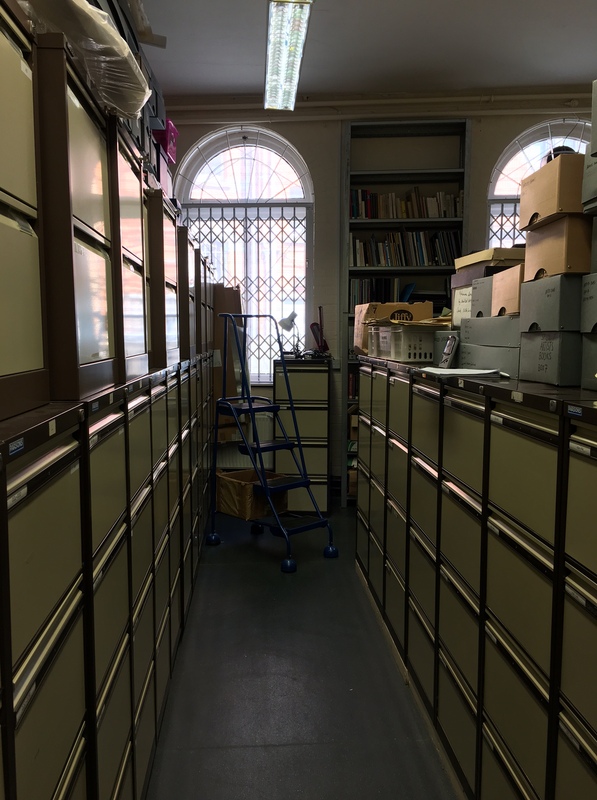 Having been formally established in 1998, the library began in the 1970s as a personal record and archive by NCAD Librarian Edward Murphy who began organising records safely into a humble metal filing cabinet in his office. Not only was this collection of personal interest to Murphy, its beginning was also a response to a perceived demand for documentary resources for the study of Irish visual art. Between 1995 and 1997, the collection grew from the preexisting collection of Edward Murphy and his work within the NCAD library. Additions to the small archive were made by donations by The Hugh Lane Gallery, The Arts Council as well as other cultural institutions. Additionally, many materials were donated by private individuals, artists and other visual arts practitioners, researchers and professionals. 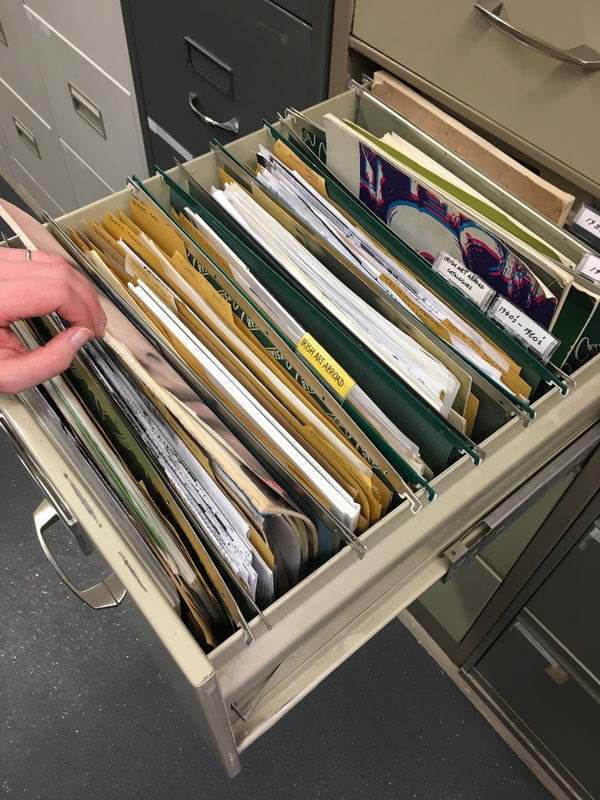 Today, the library accepts personal donations from artists, collectors, and other enthusiasts and constantly looks for ways to grow their collections; be it through subscriptions to current periodicals, personal donations of books and ephemera, or acquisitions of materials. The library is an important part of the NCAD campus. The main room contains full floor-to-ceilling bookshelving, with publications catalogued and stored according to the dewey decimal system. 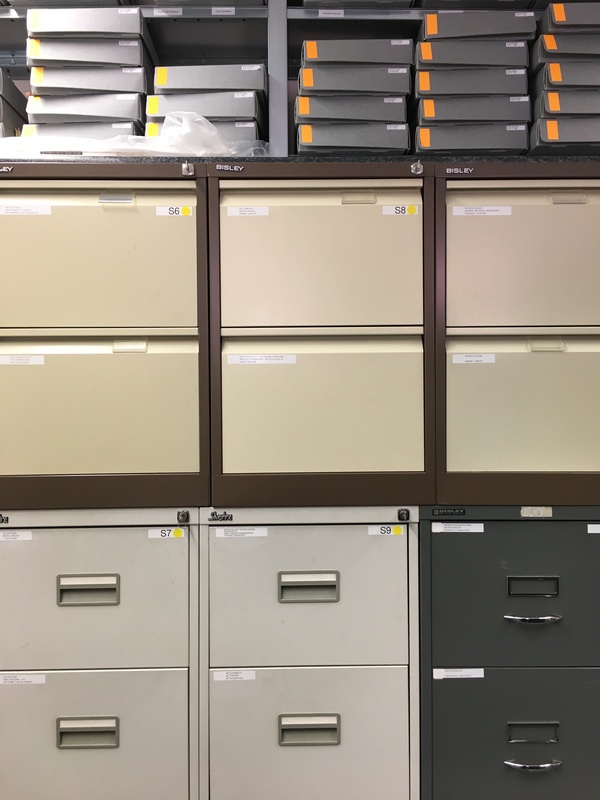 In an adjacent room, rows and stacks of filing cabinets are organised alphabetically and chronologically by artist or event, making all information easily accessible to the library staff and visitors. 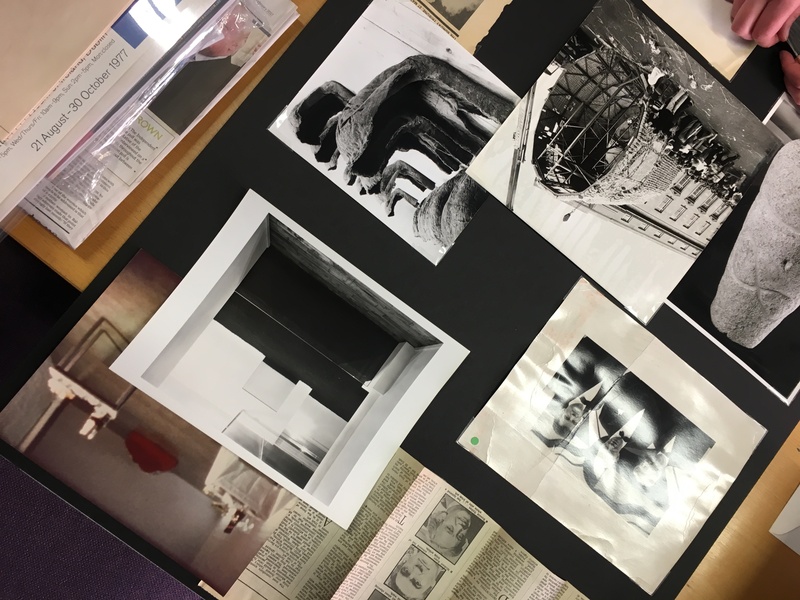 Materials can be requested in advance and viewed in the reading room, which currently displays many of the materials associated with the Rosc exhibitions, in honour of the fiftieth anniversary of the first Rosc in 1967. 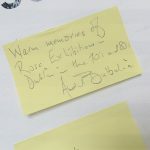 Information relating to the Rosc exhibitions is abundant within NIVAL through publications, ephemera and materials from the exhibitions, and the personal collection and correspondence of individuals such as Dorothy Walker. The aim of this book is to provide, for the first time, a comprehensive art-historical, factual and analytical account of all six Rosc exhibitions of international contemporary art and associated exhibitions of ancient and other art, which took place in Dublin approximately quadrennially between 1967 and 1988. 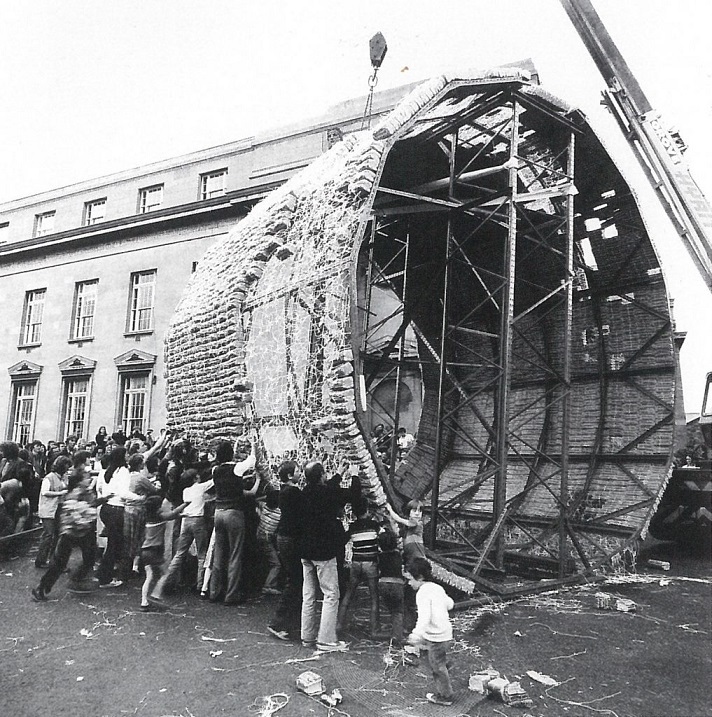 It is with these materials and with a similar intention of evaluating the narrative of contemporary art in Ireland that NIVAL and IMMA were able to tell the story of Rosc in the current display in the Project Spaces of IMMA and through the year-long initiative that is ROSC 50 – 1967 / 2017. When preparing for ROSC 50 – 1967 / 2017, the curators worked alongside researcher Dr. Brenda Moore McCann to review the records from NIVAL, the RTE Archives, and the Irish Photographic Archive and to prepare a revised narrative that would be entered back into NIVAL for the future. While the exhibition space is lined with a comprehensive timeline of the Rosc exhibitions, the space is also fitted with a viewing station that broadcasts archive video material from RTE, and a selection of primary source material and ephemera from the NIVAL archives. It was important for visitors and researchers to understand how the Rosc exhibitions contributed to the formation of IMMA. IMMA was officially opened at the Royal Hospital Kilmainham in 1991 and became the national institution for contemporary art in Ireland. As Rosc signalled a significant change in the nation’s approach to contemporary art, IMMA and NIVAL are encouraging visitors to tell their stories from Rosc. 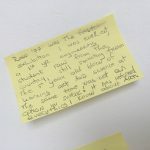 Within the exhibition space itself, visitors are invited to write down their memories and experiences and add to the growing and changing narrative. 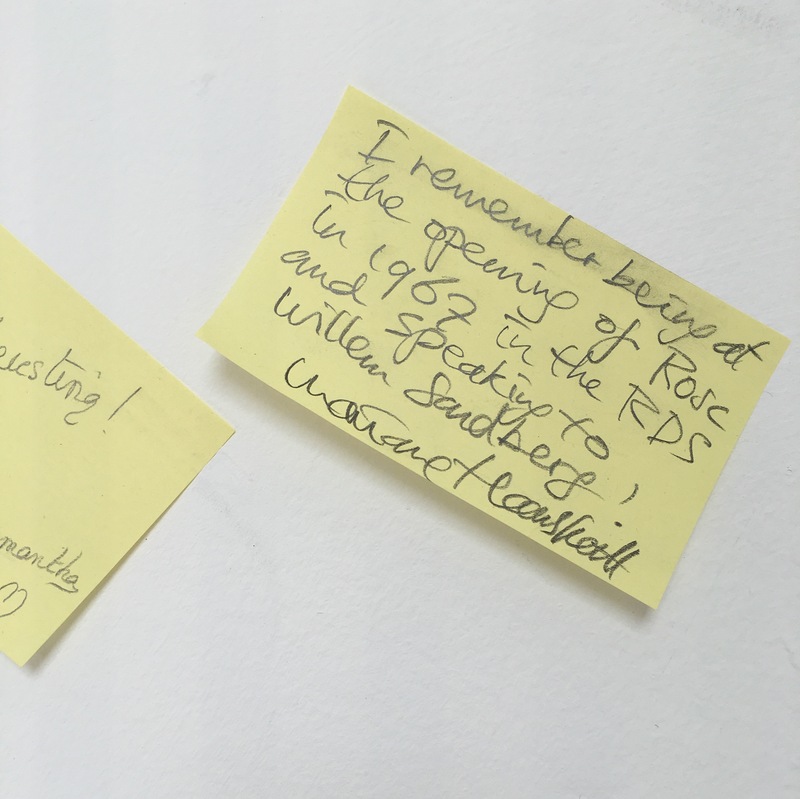 Those unable to share their experiences in person are invited to email stories and photographs to rosc@imma.ie or to share their experiences with us publicly on social media with the hashtag #ROSC50. We’ve already heard from so many people. 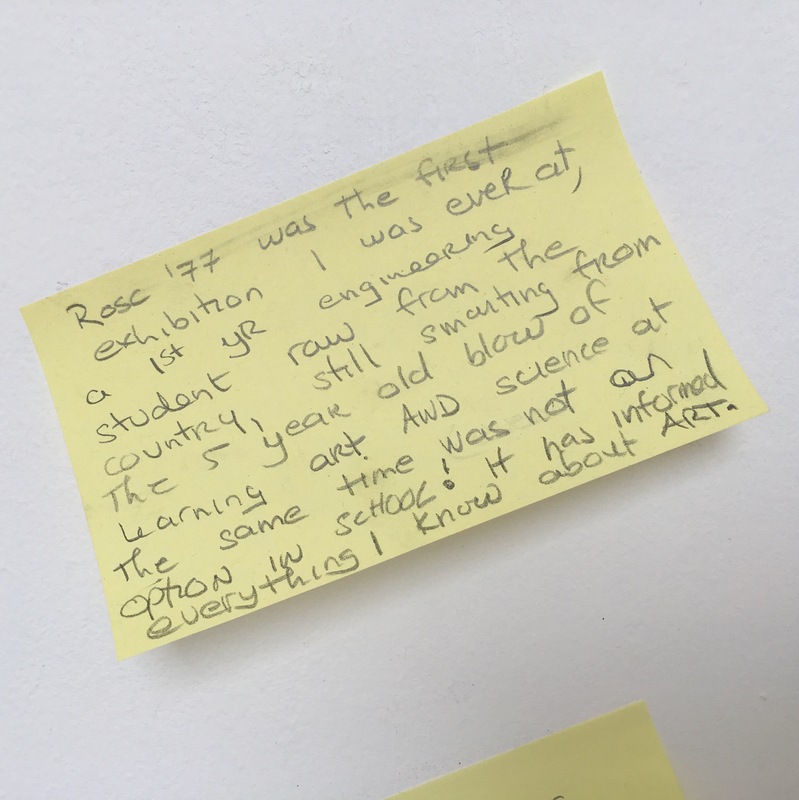 We’ve received stories of children – now grown adults – who were given a day off from school specifically to visit a Rosc exhibition. We’ve heard from artists who were inspired by the Rosc exhibitions to join the arts and become artists themselves. Do you have something to share? Let us know and don’t hesitate to add your story to the national archive and narrative of the Rosc exhibitions.